Our special releases focus on highlighting a theme outside of our normal monthly shipments. This time its focus is on fashion illustration. We partnered with Anthony Williams on this unique one of a kind box. You may recognize him from his three separate appearances on Project Runway including All Stars season 6 which he won. He lended his incredible talent to help curate the items and produce two fully fleshed out illustrations for inspiration. 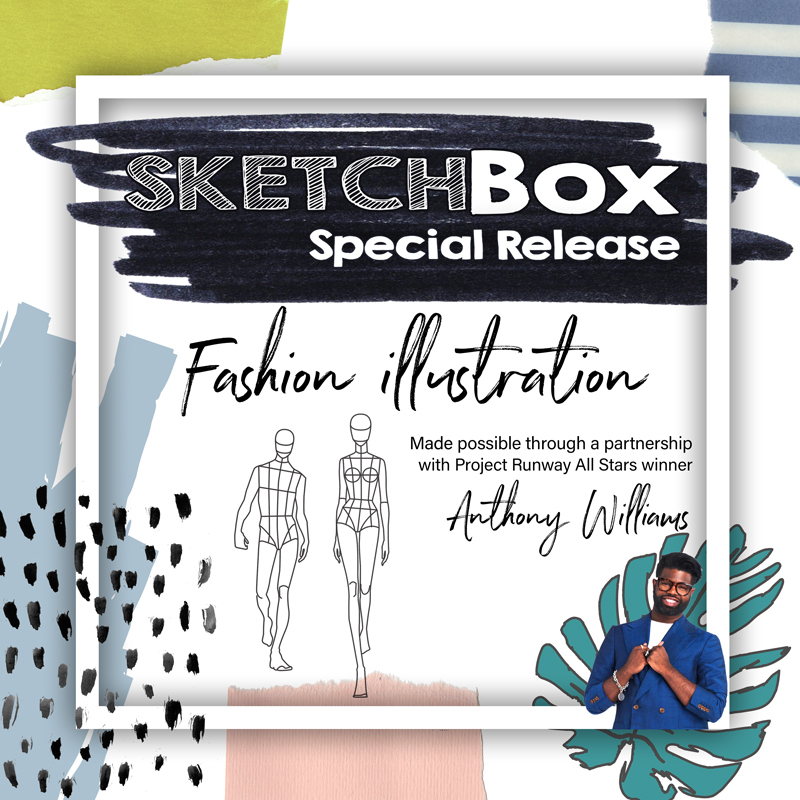 With 12 items the box will include 3 Copic markers, a truly one of a kind sketchbook that is PERFECT for fashion illustrations, unique embellishment tools to really make your illustrations pop off the page, a bonus digital download (not one of the 12 items), and more.